Grown in tropical regions, this is a variety of spice that is considerably larger than the traditional peppercorn and is actually a common spice known as "allspice" but referred to as a peppercorn in areas where it is grown. Also known as Jamaican Pepper, the Jamaican Peppercorn is harvested from tropical evergreen trees. It is light brown in color and grows to a diameter that is similar to a soybean in size. 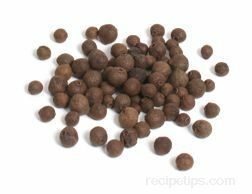 Most often sold and recognized in its powdered form, the Jamaican Peppercorn berries provide a flavor much like a blend of cinnamon, nutmeg, cloves, ginger, pepper, with a mild fruity overtone.